Officine Panerai presented 12 new models at SIHH (Salon International de la Haute Horlogerie) this year including the new Radiomir 1940, available in two versions (PAM 00398 and PAM00399), which introduces a whole new case which is a sort of transition from the Radiomir case to the Luminor one. If you look at the watch without caring too much attention, you might not immediately perceive the differences with the well known Radiomir case but just look better at the lugs: instead of the wires welded to the case we find more traditional lugs formed out of the same block of the case. The Radiomir 1940 uses a plexiglass crystal, just to remark the inspiration coming from the historic 1940 models. 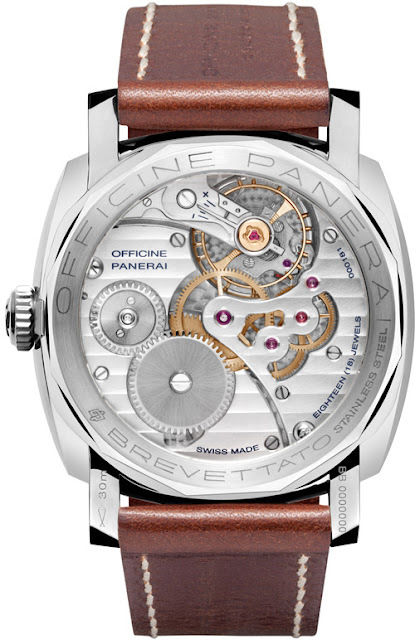 Anyhow, for the see-through back, Panerai still opted for a sapphire crystal. 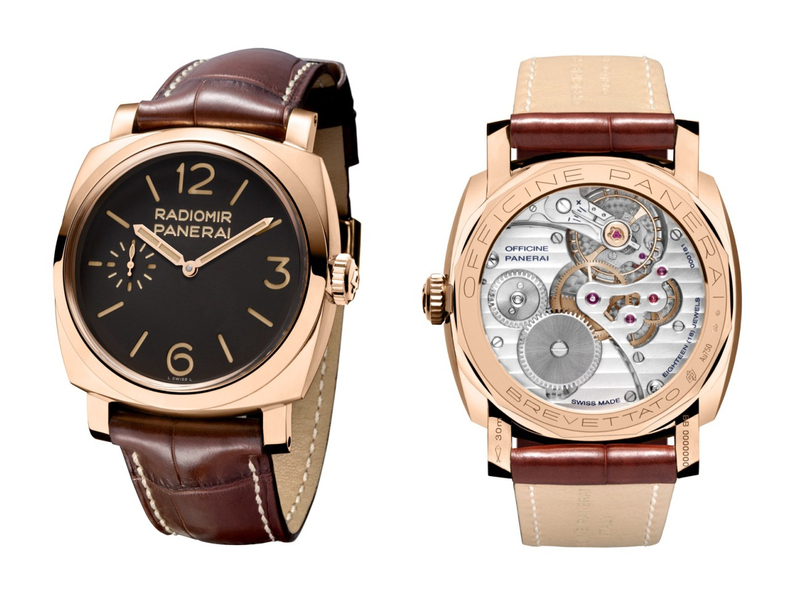 The movement is the hand-wound Panerai OP XXVII. (wire lugs) and the Luminor on the right (crown protection). 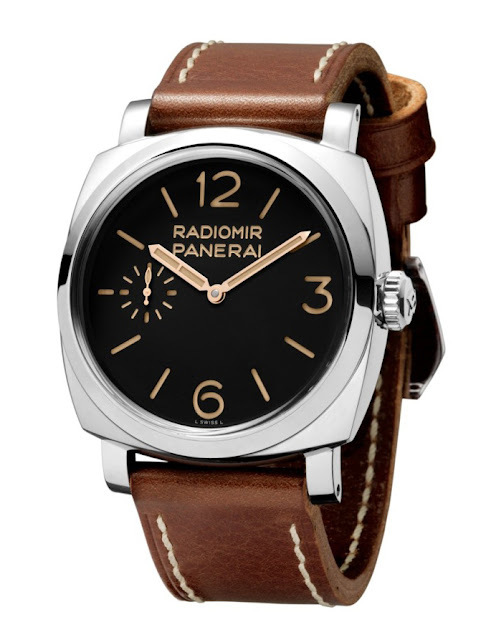 Radiomir 1940 (PAM00399) available in a steel Limited Edition of 100 pieces. Radiomir 1940 Oro Rosso (PAM 00398) with brown dial and pink gold case also available in a Limited Edition of 100 pieces.